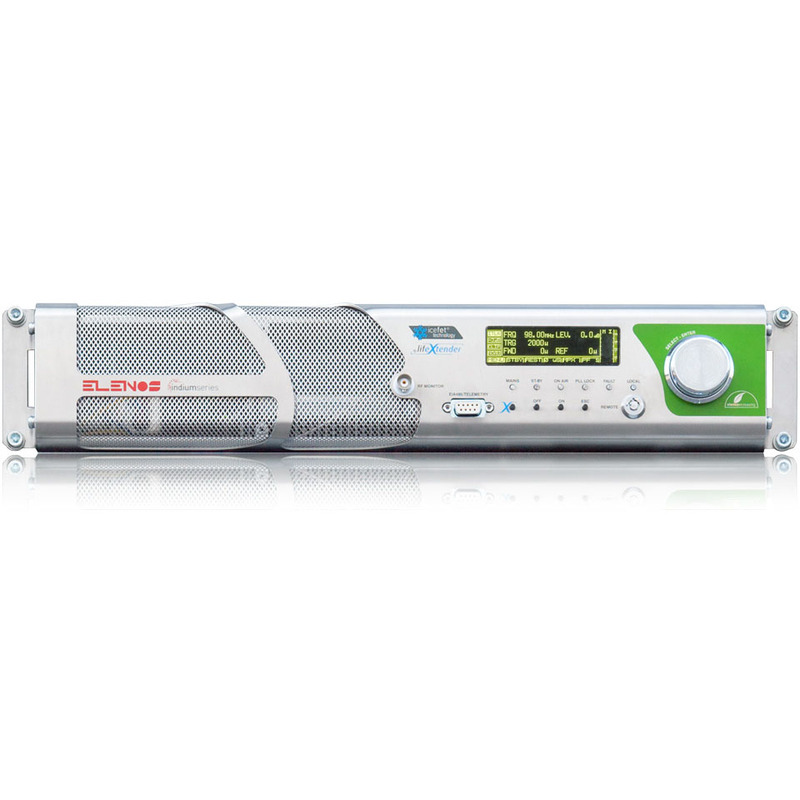 Reliable, Energy Efficient FM Transmitters. 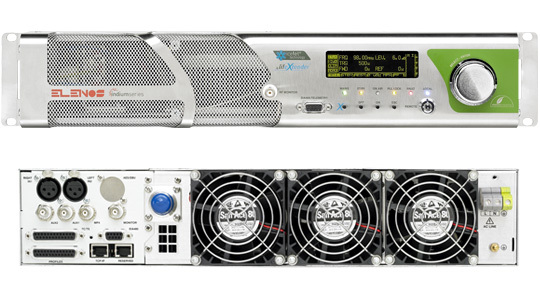 Available in sizes ranging from 100W to 20kW, the Indium range of transmitters are a highly advanced yet cost effective offering for any FM broadcast application. 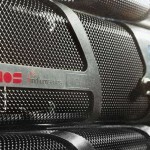 Transmitters up to 2kW in only 2U of rackspace! The Indium series of transmitters have gone beyond the limits of technology and devices of today. Its efficiency results in a big difference in operational costs, and the heat reduction increases the useful life of the transmitter. 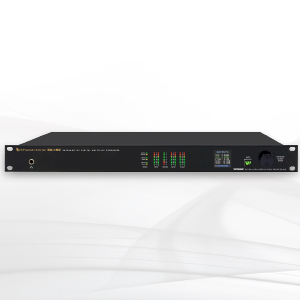 This new series of transmitters consists of no more than two rack units and less than 17kgs: half the weight of similar devices, with great advantages in terms of Shipping and handling. 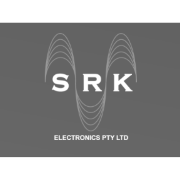 The Indium Series widely uses the planar technology for the entire RF section (RF modules, combiners, splitters and low-pass filter), to minimize internal connections and soldering. With all this, stability increases, chances of failure are severely reduced, and maintenance is simplified. 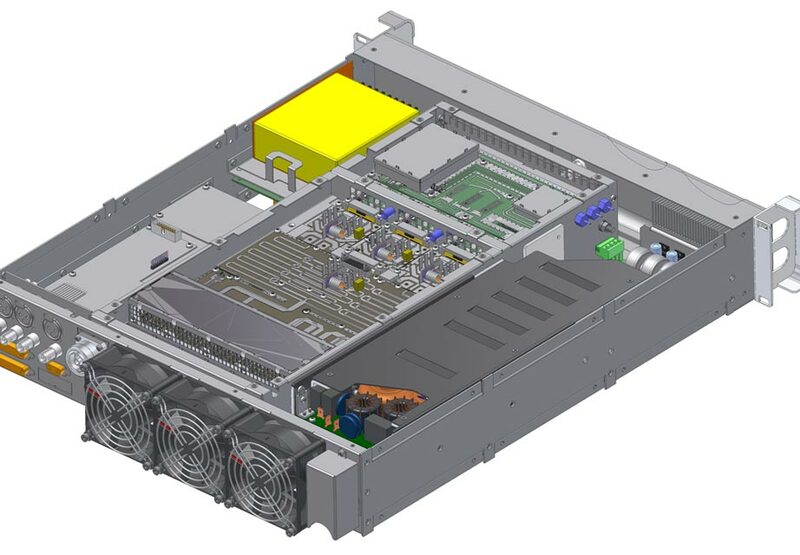 Due to the high electrical efficiency, the internal temperatures of the transmitters remain outstandingly low. Energy saving, environmental protection and long product life are guaranteed. Elenos Indium Transmitters are cost effective to purchase and provide a very low total cost of ownership. Indium has also given special attention to ergonomics. It’s now possible to configure all the parameters of the transmitter by simply navigating through the software menus by using a control knob. 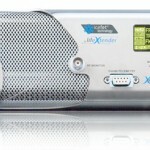 The transmitter features some easy access buttons as well which take you directly to main functions of it, so you can operate it immediately. All operating parameters such as voltage, temperature, power, among others, are shown in an O-LED display. 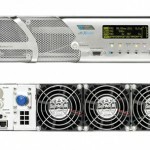 Transmitter also includes a series of LEDs that provide a quick snapshot of the main state of the equipment. Complete monitoring capabilities of all the parameters featured on the transmitter usually allow maintenance to be performed without special instruments. In ELENOS, we pay particular attention to the flow of air inside the transmitter, so we make sure that the direct flow of cooling air doesn’t come in touch with the equipment’s electronic boards by inducing a process of tropicalization, so all these boards are protected from moisture. The transmitter’s parts are all-aluminum in order to avoid any kind of corrosion. By doing all this, we ensure that the transmitter can work in extreme environmental conditions. 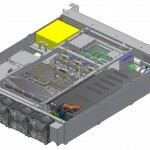 Features TC/TS for integration with exchange systems and/or third party monitoring and control equipment. 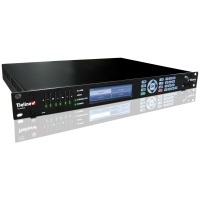 The transmitter can store up to 6 different profiles of operation where you can configure all its working parameters (frequency, power, audio modes, levels, and more). Six relay outputs with indication of the profile in use. 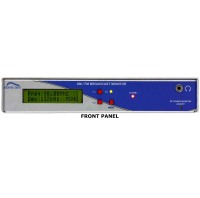 Transmitters from the Indium Series can be supplied with Ethernet port for connecting to external equipment for monitoring via TCP/IP and/or SNMP. The transmitter also has an integrated web server for control over the internet. (This option will be available soon). The device can be equipped with an internal GSM modem for management over SMS. (This option will be available soon). Features a full range of fast and remote diagnostics. HostLink standard protocol makes it simple to handle large amounts of data to diagnose remotely.